LEVEL KIT***LIKE NEW TIRES***FACTORY ALLOYS***TINTED GLASS***PIONEER SOUND***EXTRA CLEAN! 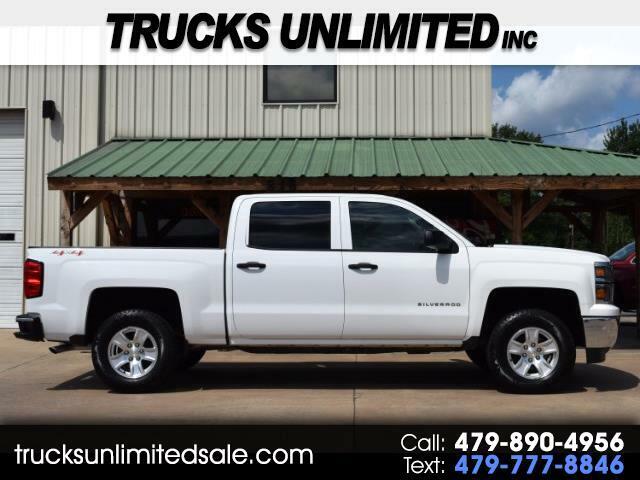 This 2014 Chevrolet Silverado Crew Cab 4x4 is extra clean and is priced at a bargain! Pre-sale inspected so that you can buy with confidence and as always we guarantee the best prices anywhere! We have many lenders for ALL types of credit and can help you get financing by phone or online in minutes! We offer LOW cost ZERO deductible warranties to give you an extra PEACE of mind as well. Call today for no hassle assistance and let us help you save time and money here at Trucks Unlimited Inc. in Russellville, Arkansas! LIKE US ON FACEBOOK, FOLLOW US ON TWITTER!